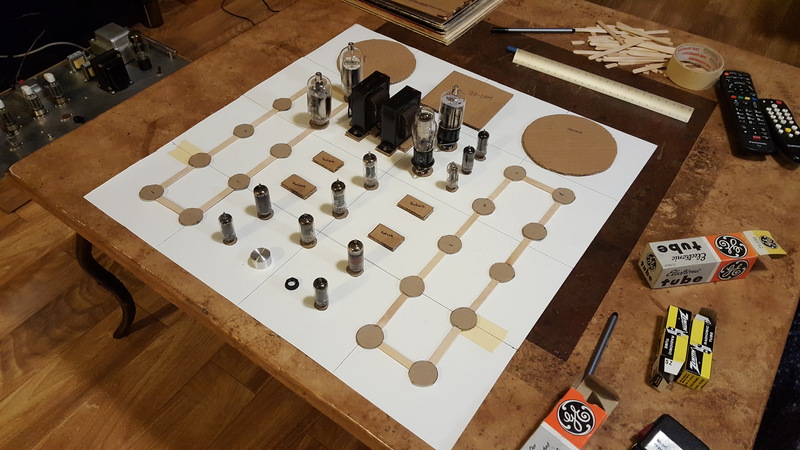 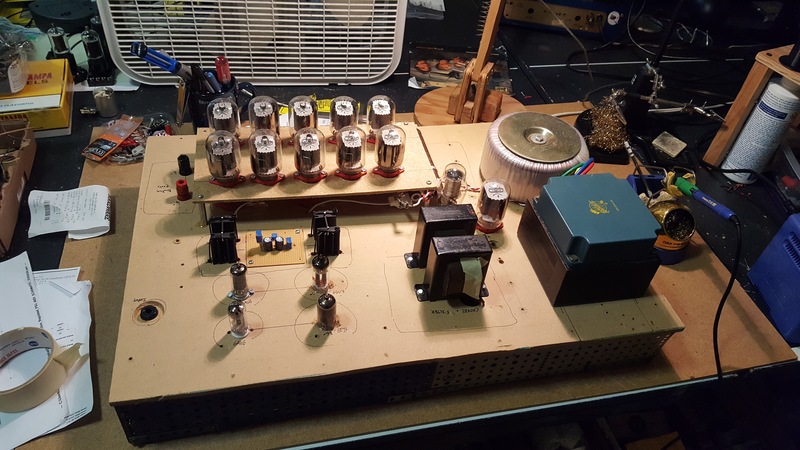 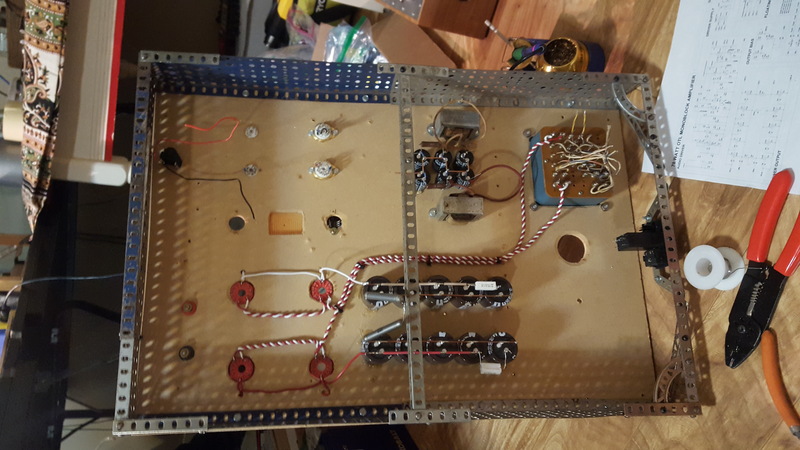 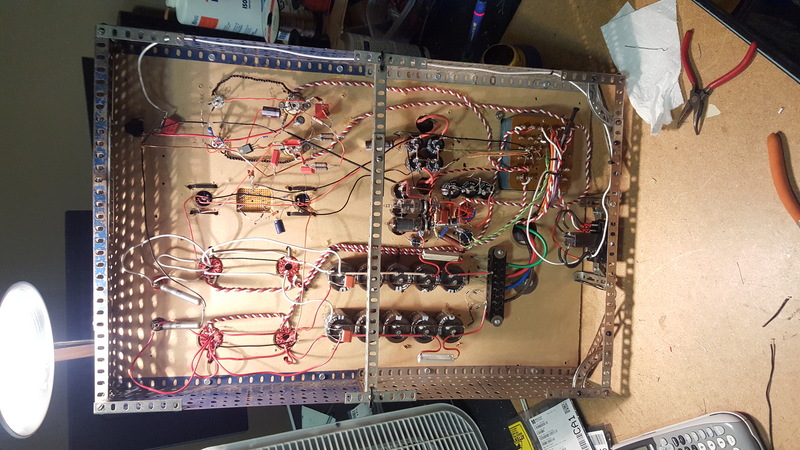 This stereo OTL tube amplifier project is a continuation of my experiments with the circlotron output topology. 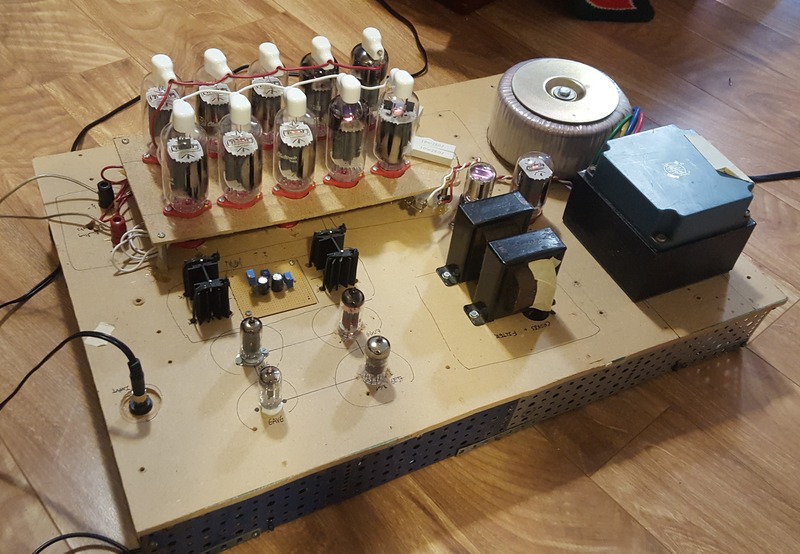 Originally conceived as a pair of monoblock amplifiers, this design combines the two separate channels on a single chassis. 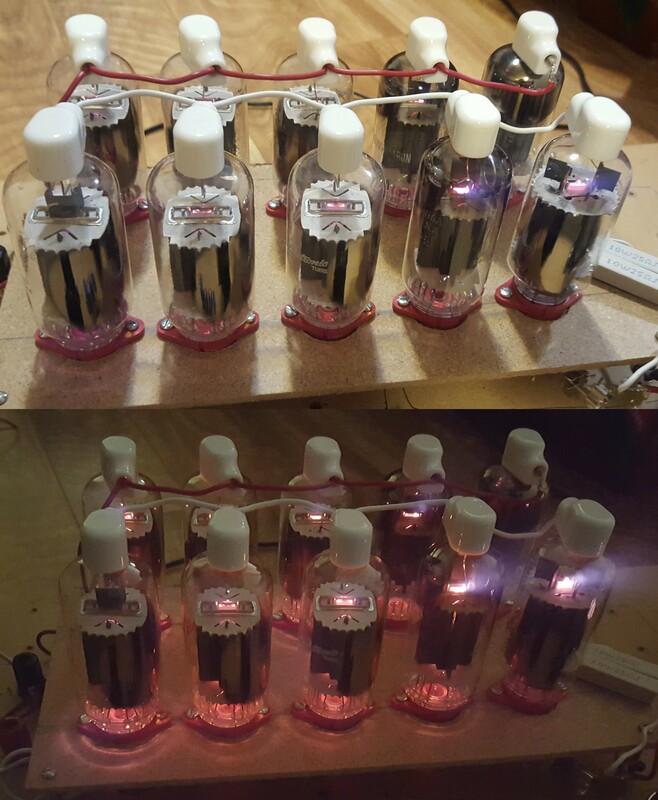 The output to stereo 8 Ohm speakers is driven by 20 21LG6A (10 per channel, 5 paralleled tubes per phase). 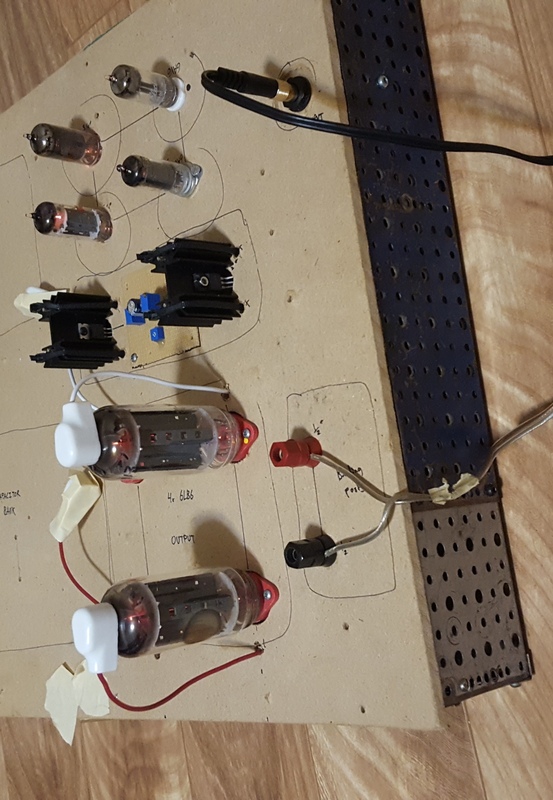 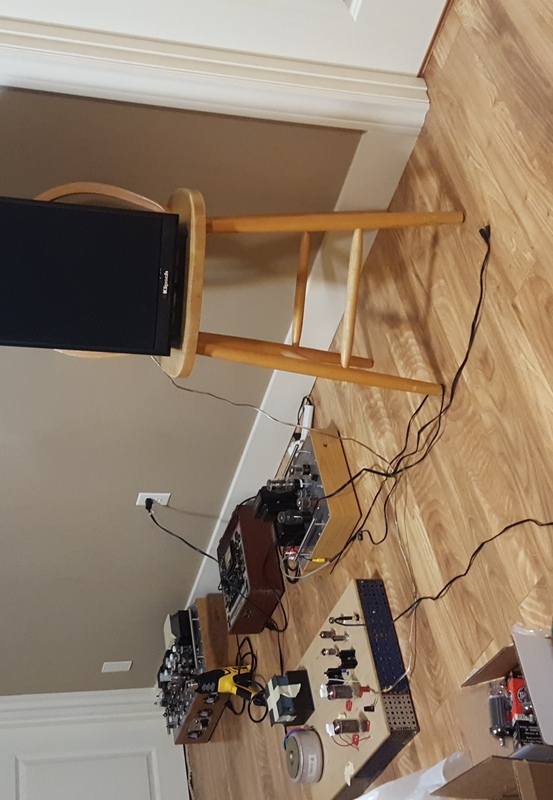 The connection is direct-coupled for accurate and uncolored hi-fi audio reproduction. 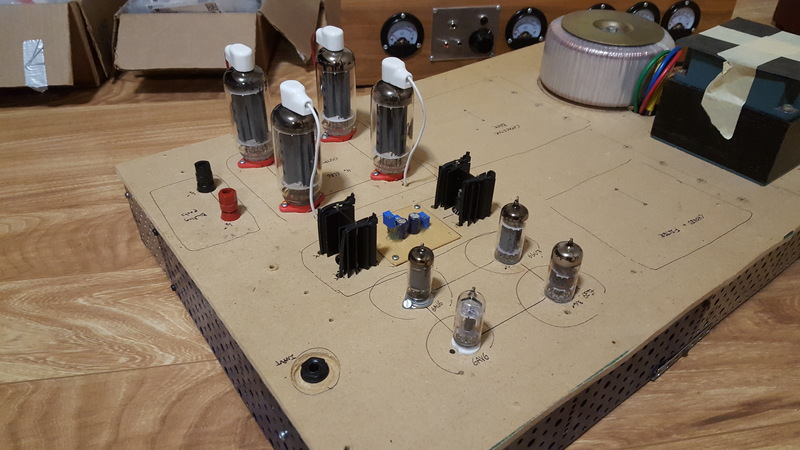 The pre-amp section is a high gain tube amplifier built around triode-coupled negative feedback. 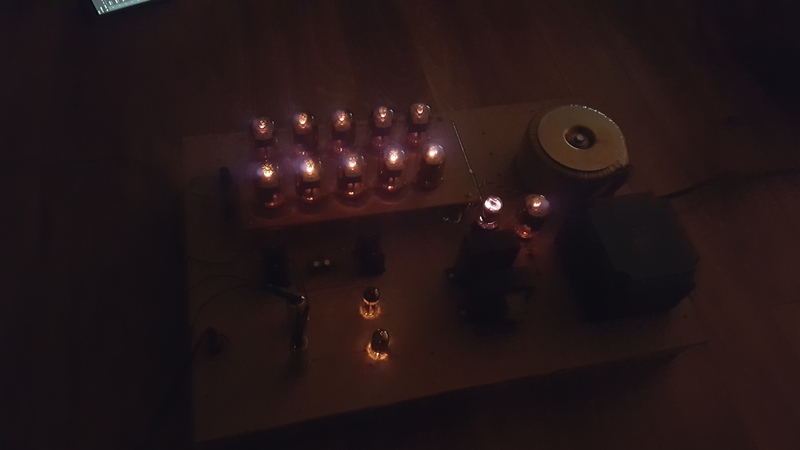 The distortion figures are below 0.001% THD (at 1000Hz) at a gain of over 300 mV/mV. 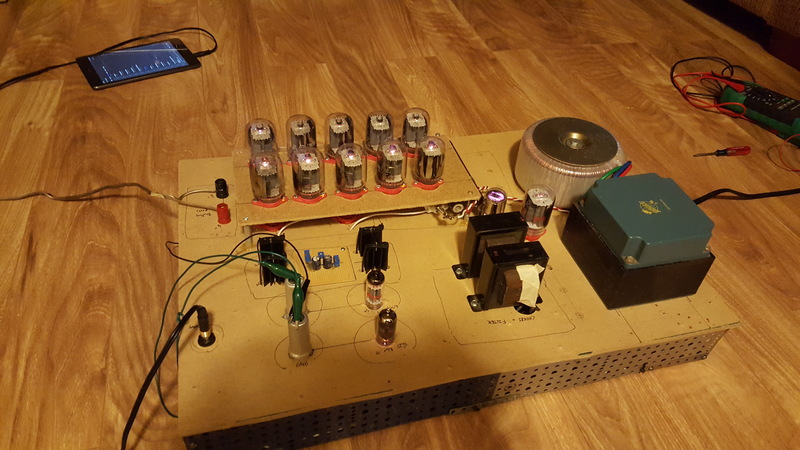 The pre-amp is capable of driving the output into class AB2 at power levels in excess of 70 Watts per channel. 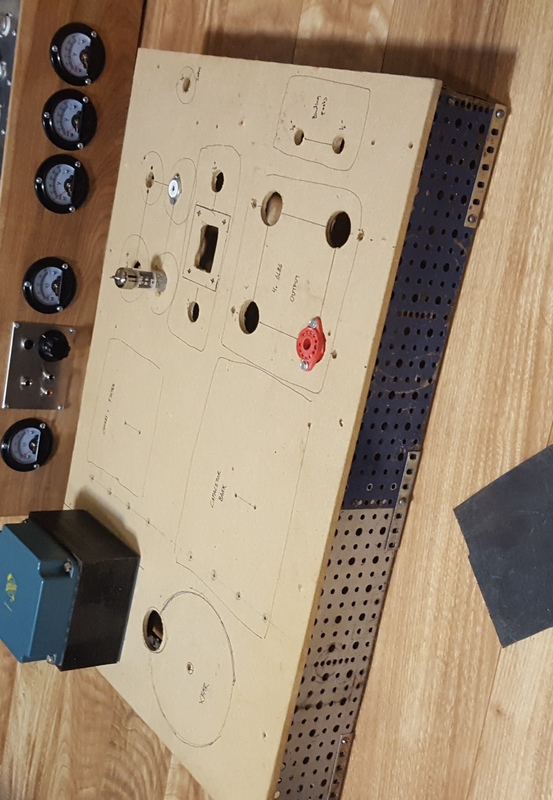 The chassis will be custom-made in the style of my previous amplifiers, using wood paneling with a milled aluminum top plate.